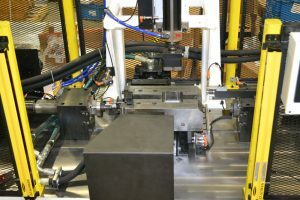 Tube handling and processing are important functions for many manufacturing operations. A remarkable number of the products that we use every day utilize some form of tubing as part of their construction. 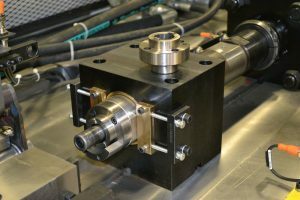 Often, these components utilize a swaging technique to upset the end of the tube for fastening, assembly, or some other functional reason. 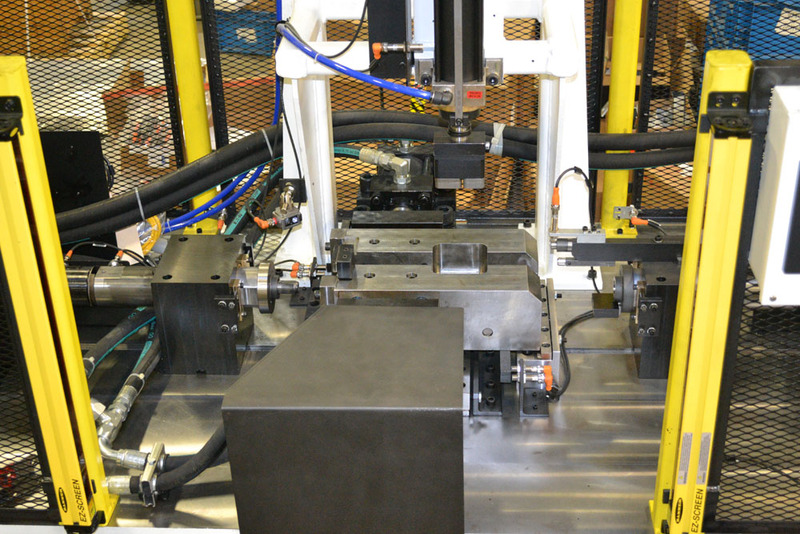 Innovative Automation has developed a series of manufacturing systems to support these swaging operations. The output and capacity of these units can vary from lower volume low force units to higher force units that may perform multiple swaging operations concurrently. Our high volume unit was designed to process two tubes per cycle, swaging each end of the tube concurrently. 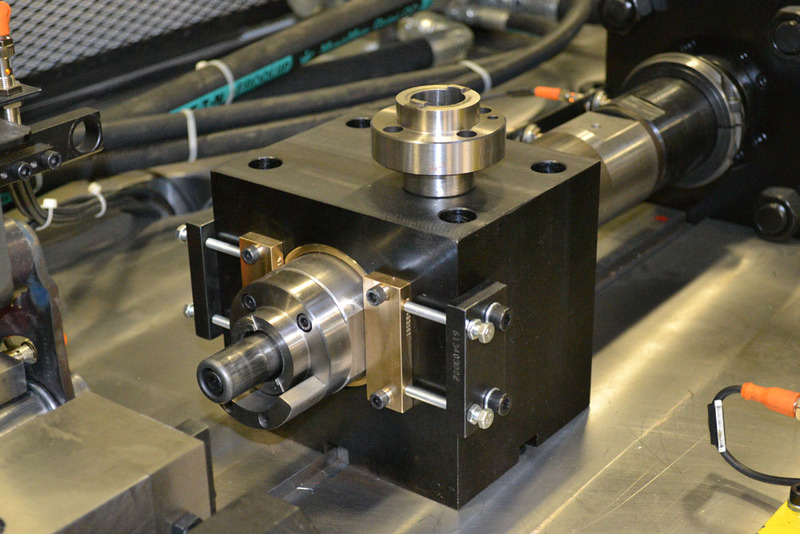 Dependent upon the type of materials to be processed, this system can produce a swaged tube approximately every 5 seconds. The real advantage of a swaging system can be seen in the type of tube that can be swaged and the power that can be output in order to perform the swaging. Swaging can be completed on both electrical and hydraulic systems with the hydraulic system providing the higher degree of power. Our current hydraulically power swaging system was designed to have the capacity to upset swage both ends of dual steel tubes with a 0.060″ wall and diameter of less than 1.00″. Control over the swaging operation is another criteria that is critical to the capability of the machine. This is especially true of dual swaging operations that perform a swaging function on both ends of the tube concurrently. 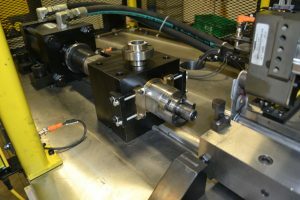 Whether electric or hydraulic, we have demonstrated that we have the capability of synchronizing two-axis in a servo fashion allowing for the precise swaging of each tube end. These machines are highly specialized based upon the product to be swaged and the profile of the swage. As is the case in all of our systems, we welcome the opportunity to engineer a system specifically for your applications requirements.